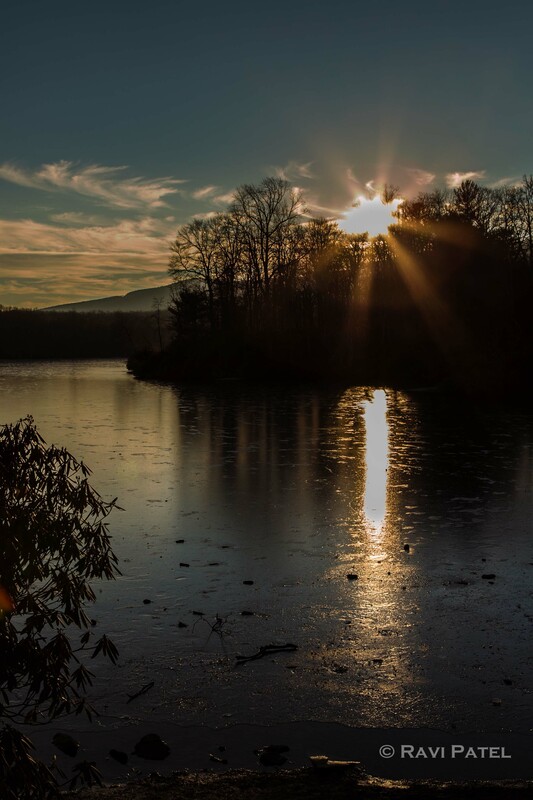 This entry was posted in Clouds, Landscapes, North Carolina, Oceans and Lakes, Photography, Reflections, Sunset and tagged ice, lake, Lake Price, North Carolina, sunset. Bookmark the permalink. That is a beautiful shot, Ravi.